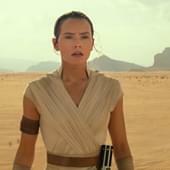 Get ready for Star Wars: Rise of Skywalker coming to theaters this Christmas! Episode 9 in the saga, Rise of Skywalker’s teaser trailer and theater release date was announced today (April 12th) in Chicago. Bust out your light saber and check out the trailer below!